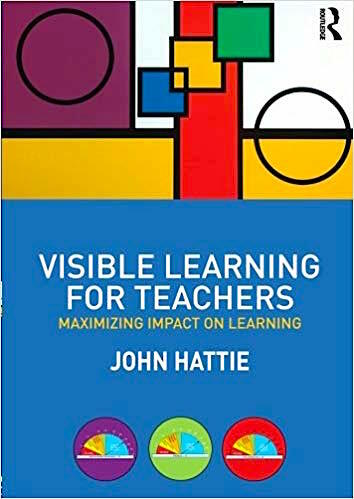 The wonderful blog Corwin Connect had a post earlier this week celebrating the 10th anniversary of the publication of Visible Learning, John Hattie’s groundbreaking global study of “what works” in teaching and learning. The ripple effects from Hattie’s initial meta-analysis of research into the efficacy of various education practices are still going strong — more books, more videos, more debates over the effect sizes and rankings of various instructional methods and interventions. In this new Corwin Connect post, three educators who have been deeply involved in exploring the Visible Learning research take a step back and consider what it all might mean for the future of learning. 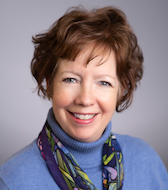 Jenni Donohoo, Sue Bryen, and Brian Weishar rely in part on articles written for a recent special issue of Education Sciences dedicated to the Visible Learning phenomenon. That’s my word choice, but I think you’ll agree that the impact of the work of Hattie and his colleagues has been phenomenal. After a decade, the findings are becoming a regular part of many professional development conversations and – in some places – profoundly influencing the way we do school (and not just the way we talk about school in university or policy circles). I know many of us working with Alabama schools have a deep interest in the Visible Learning investigations, and I encourage you to read this blog post by Donohoo and her colleagues. You’ll find some encouraging “learnings” from educators who have used the research as a catalyst to improve teaching practice and student achievement through a process of collaborative inquiry. They also offer some cautions about over-simplifying Hattie’s data or reducing it to a list of do’s and don’ts, without much reflection. The key message [from Hattie’s work thus far] is that there are things that seem to work better than others at improving student learning outcomes, and there are also things that are actually not very useful, in terms of student learning. If schools have a key purpose of helping students’ learn and a focus on academic progress, then implementation based on using evidence and evaluation of impact is worthy of educators’ time and effort. 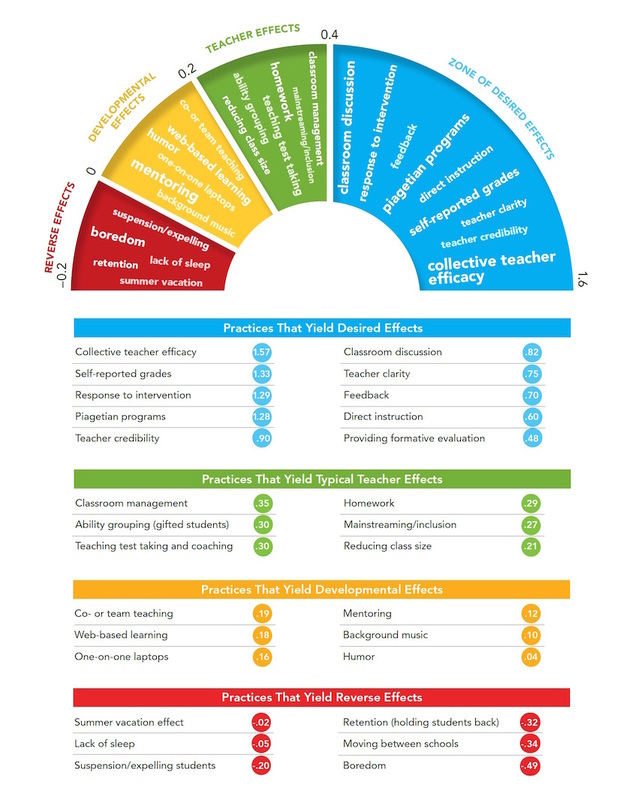 In some schools and education systems, the extensive Visible Learning research has been reduced to a ‘flavor of the day’ focus for professional development or a simplified list of the highest effect size influences without regard for school context or the complexity involved in implementation. The concept of learning how to ensure all students’ progress, at least a year of learning for a year of school, is often misunderstood or overlooked. However, some schools have interpreted the Visible Learning messages and philosophy as opportunity for ongoing and collaborative professional learning. They have continued to share learning and stories of implementation and engaged in collaborative inquiry and discussion to evaluate as adaptive teaching experts. What have the school leaders and teachers learnt from their long-term investment with the Visible Learning research? The article, titled 5 Teacher Insights from Long-Term Engagement with Visible Learning, goes on to summarize observations from teachers at San Diego’s Health Sciences High and Middle College who have spent years studying and applying the Visible Learning research. 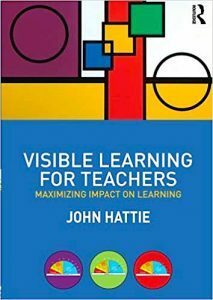 0 Comments on "Five Insights on the 10th Anniversary of John Hattie’s Visible Learning Research"